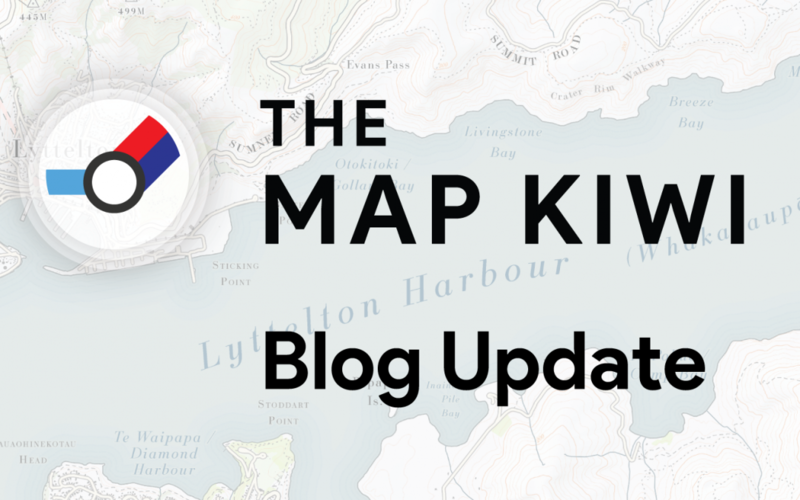 Much of the year has passed since my last update, so I thought I’d catch you up on all that’s been happening here at The Map Kiwi! The biggest change for me has been entering full time work as a Geospatial Analyst back in April. This was quite a different pace and type of work to my freelance stuff, but it’s been really rewarding working with others and learning new skills. As you’ve probably noticed, I’m still an ‘after hours’ cartographer which I don’t plan on giving up on any time soon – it does mean that I’ve started to think a lot more about how to use this time as effectively as possible however! In addition to map projects, I also spent some time rebuilding the website and store and doing a full redesign in July. Despite a few early bumps, it seems to be performing well so far. Luckily, it managed to hold itself together when it received well over 5,000 hits in a single day after my radio interview with Wallace Chapman on the RNZ Sunday Program during Maori Language Week! There has been a lot of interested around my Te Reo Map and associated web map; it was on display at the GeoCart Cartography Conference map exhibition (a highly recommended conference by the way!) and a lot of interest was generated by the RNZ interview continues to keep me busy. Thanks to everybody who liked and shared the maps, and an even greater thanks to those who bought a copy! I hope they are useful. You can listen to my interview with Wallace Chapman here and read the associated article here, there’s also an article that my employer Tonkin + Taylor also shared about my work.